When setting up a project, using an array of different companies to complete the required infrastructure can be a nightmare. With us, it’s about providing a seamless delivery of all the required utilities, to eradicate the stresses that come hand in hand. Every project has its own unique set of requirements. That’s why we manage everything from the outset through to completion, to enable the process to be as straightforward as possible, to ultimately save you time and money. We get the ground running by providing the answers to all of your heavily anticipated questions. From obtaining a quote to finding the nearest network point of connection and if there’s a suitable electric or gas supply nearby, your very own account manager will be your main point of contact throughout. They will get your project going in no time. Our designers create a plan of how to get the energy from the grid to the site smoothly and efficiently, including the sizing of the pipes and cables and the infrastructure roadmap. Our teams work alongside each other to ensure best practice and contingency throughout. We do the legwork for you. Whether you need to connect to the local grid or liaise with councils to discuss disruptions to the roads, we cut the red tape for you and comply with all of the associated legislation, so you can get on with other areas of your project. This is the most obvious step and of course, the most important. You need a company you can rely on to get you connected with as minimal disruption as possible. We have the expertise and experience to get you up and running suitably. 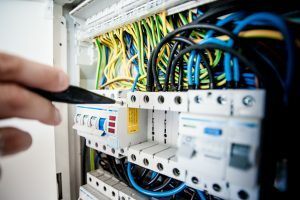 As well as being an energy supplier, our specialist meter team can also help remove old meters or disconnect services you no longer require. 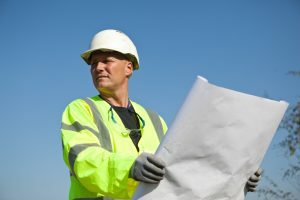 We will discuss your requirements and gain a solid understanding of the reasons for the removal or disconnection and advise you on any further work needed. Our in-house process guarantees complete efficiency when it comes to setting up new gas supplies and meter installations. You will have one point of contact throughout the whole process with your very own Account Manager on hand to ensure the utmost standard of customer care from start to finish. For a hassle-free transition, call our friendly team here at Crown Utilities today on 0845 340 4068.